Happy Thursday!! While I'm prepping for #babyclemington, I will be sending my regrets to the Idea Box Link Party. Hop on over to one of the co-hosts' blogs to join in on the party! 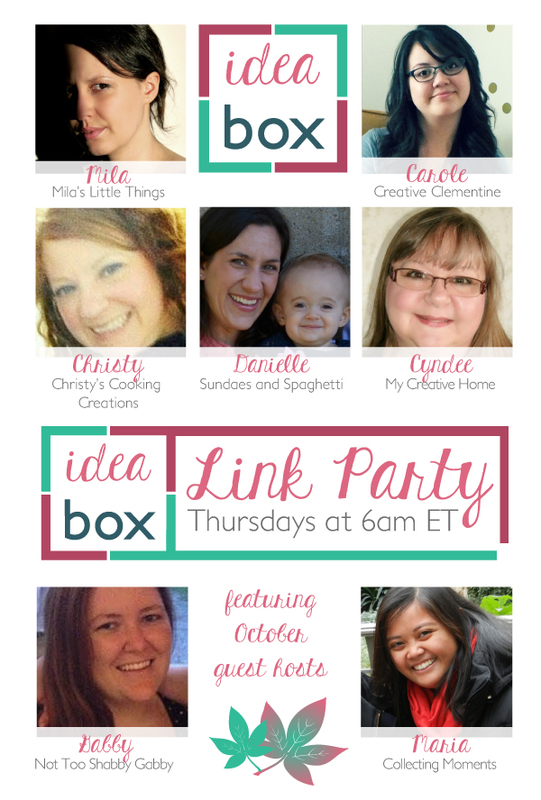 Idea Box is a weekly link party for bloggers to share all of their creative posts---recipes, home decor, DIY projects, gardening tips, good advice... Whatever your creative heart desires. The link party is open from Thursday at 6am until Monday (*new! *) at 6am.